A few of my friends have been trying to get me to read a book by Brandon Sanderson for quite some time. Given that I enjoyed Rothfuss’ Name of the Wind, and Lynch’s The Lies of Locke Lamora I thought a good starting place would be Mistborn: The Final Empire, which have a similar setup. 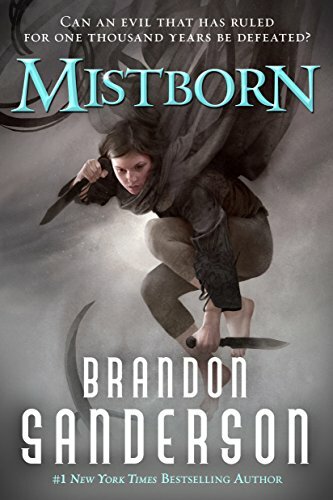 The best thing about Mistborn is the world it is set in, and the fascinating and engaging pace with which new details are introduced about the world, characters and magic systems. There are at least two magic systems in Mistborn, Allomancy and Feruchemy, and both of them use metals as their medium of use. The thing I love about this magic system is that it has strict limitations which are easy to think about. Allomancy consumes metals, which means there is a natural resource management problem; where Feruchemy uses metals as a storage medium, which means that it can only store and release what the user puts into it (with some loss based on the rate of use). I also loved the character of Vin, and the overall heist like nature of the story. It is very engaging and I would recommend it to any lover of fantasy novels (and magic systems).